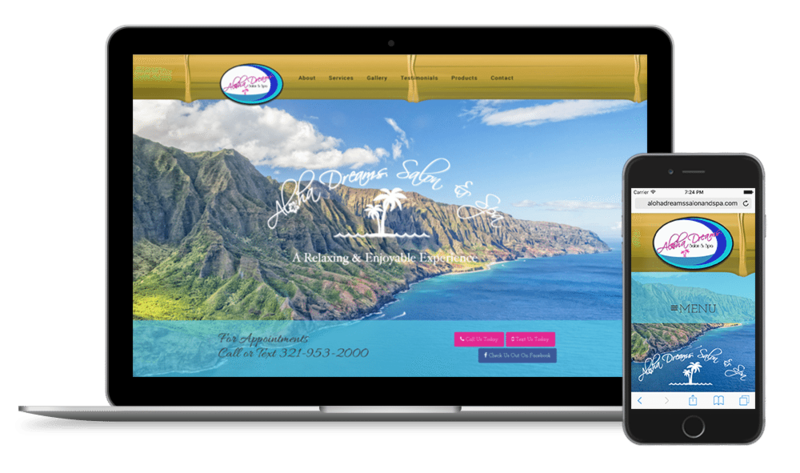 Aloha Dreams Salon And Spa needed a website to showcase their work and list their products, services, and information about them and the salon. They also had the needed an easy way to manage the website content themselves, and reached out to me specifically for my WordPress skills. 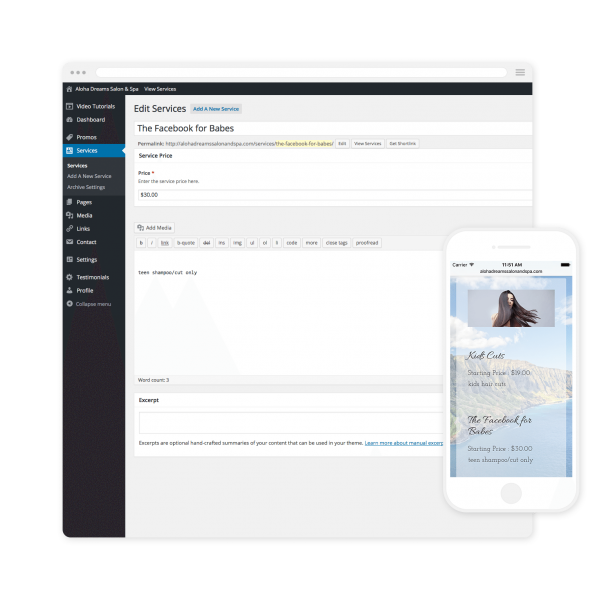 The WordPress dashboard was modified to only have the basic necessities for managing the content on this website. I added a couple extra post types ( services and promos ) for ease of use. The services post type received an extra price field to enter in the price of the service. This website had to be easy to manage, and what better way is there to make it easy for everyone. The on demand video tutorials cover everything you need to know about editing the content on your website and they're available 24/7!